An assassin’s bullet sends Jim Mitchell running. When he’ll stop is anybody’s guess. A tragedy propels Jim into a vacant state assembly seat. The new lawmaker and his wife have a baby on the way, but that doesn’t stop the people trying to keep him from a job he never wanted in the first place. Then Jim gets involved in a plan to thwart a major terror attack that could either make him a hero or get him killed. Political intrigue and high drama accent this tale of what it costs to find one’s purpose, and what the rewards can be when you do. Running is the third book in the Jim Mitchell series. Previous titles include Chasing Deception and Undue Pressure. This is the first book I have read in this series, so I am a little behind as far as the back story. Some of that is revealed in this book, but if you want to know more you can grab the previous titles in the Jim Mitchell series first. In this book Jim Mitchell is forced into a position as a state assembly member after he views the murder of the woman who was to hold this position. He is pushed and pulled on from different sides as the story continues. As someone who has never read any books by Dave Milbrandt, I will say I was impressed. He held my attention from page one and gave insights into both media and politics in an interesting manner. Overall a well written book. It is definitely worth your while to check into the previous books first to understand where he is coming from. The book is 197 pages long, so sort of a short read rather than a full novel. 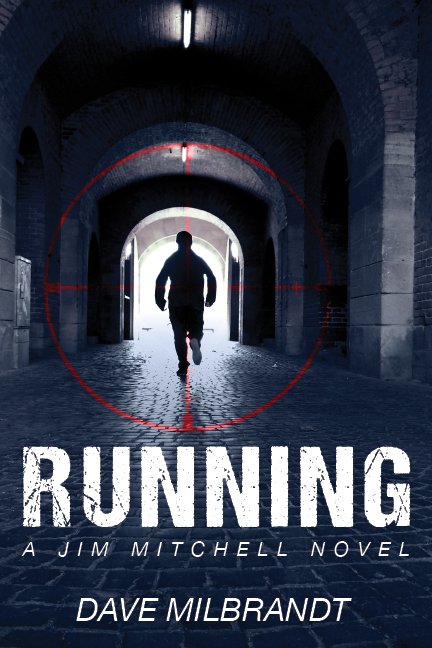 If you are interested in political based books be sure to try Running. The author of Chasing Deception and Undue Pressure, Dave Milbrandt fell in love with writing in junior high and has been a storyteller ever since. A former staff writer for a daily newspaper, the Southern California native spent five years in journalism and public relations before becoming a teacher. 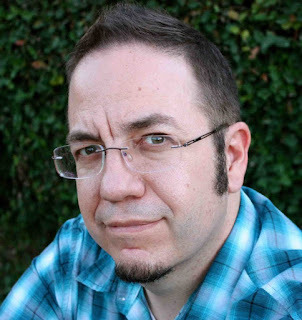 Having worked at several area colleges, Dave has taught high school English and Social Studies classes since 2005 and fills his evenings sharing a passion for politics with his community college students. Dave and his wife, Lynn, have been married since 1997. 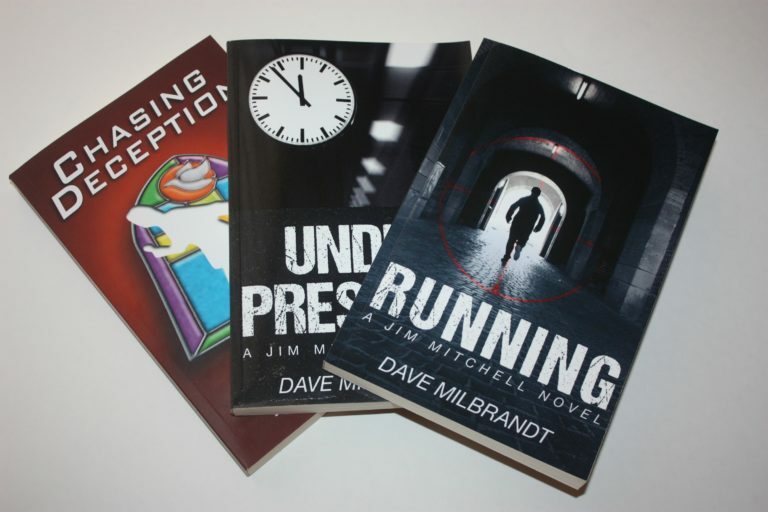 In 1998, I feverishly pounded out the first draft of Chasing Deception (book one in the Jim Mitchell series) in five weeks. Full of ambition, but bereft of wisdom of how the publishing world works, I assumed my novel would be published in short order. Despite my overly abundant self-assurance, I had to wait until 2013 to get that story out. I was in a hurry, but God, as usual, had other plans. Over the last 20 years, I have discovered the gift of patience and more about the craft of good writing than I ever could have expected during that summer half a lifetime ago. With Undue Pressure (2016) and Running (2018), I have completed the trilogy I never planned to write and hopefully given readers some characters that will stick with them after they reach the end of the story. To celebrate his tour, Dave is giving away a grand prize that includes ebooks of all three books in the series! !